It's official! It's been released! 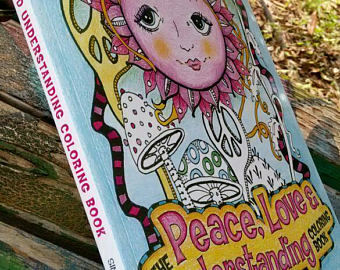 The Peace Love and Understanding Coloring Book! 60 Singleton Hippie Art Originals all in one big book for you to color! 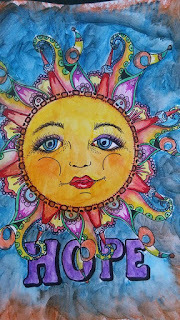 The Hope drawing above was watercolored and markered by Kim Dufresne as soon as she received her copy and she shared it with us recently! Absolutely beautiful! 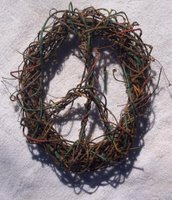 Get your inner hippie on, and relax....and let's paint the world in Peace and Love together! 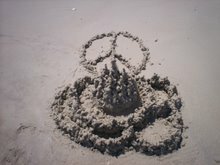 Much Peace, and enjoy the Trip! Available now on Amazon, Etsy, Barnes and Noble, F + W Media, and other fine retailers world wide!